On Thursday 29th June, the Monkeys class had an ever so exciting ‘Critical Thinking’ trip to the Children’s Play Village in Warwick. We were greeted by a very warm welcome from Shelley Corbett, one of the co-owners, who had set up tables in the ‘town hall’ for us to have our lunch. After lunch we got to explore one of the most exciting role play areas we had ever seen! The clean open space, fabulous staff and inspiring play area with it’s fantastic attention to detail made this a day to remember. There were 14 different play zones including a dentists surgery, fire station, vets, theatre, hairdressers and construction site just to name a few! 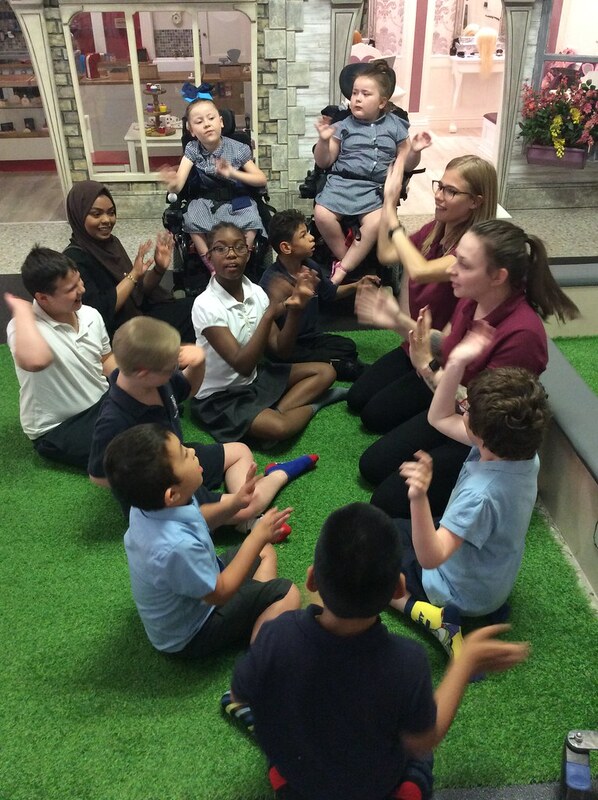 We were interacting and taking part in activities with children from other schools and using our imaginations to create our own play scenarios. The selection of resources available was extremely impressive with so many different things to see and experience. As soon as we left we were already all planning our next trip back!